Securing a field in Microsoft Dynamics 365 with field level security can impact synchronization between Dynamics 365 and Microsoft Dynamics 365 for Outlook. Consider the following scenario. Secure the field using field level security. More information: see “Set field level security” below. The Contoso company wants to promote consistent data entry. While sales personnel are out in the field, it’s easy for them to create different data entries to describe the same thing. For example, the same job title could be entered as “Construction Manager”, “Foreman”, or “Site Manager”. To prevent this, the Job Title field is secured. This has consequences for synchronization. John, the Dynamics 365 admin for Contoso, sets security on several fields. Choose Fields and select jobtitle. 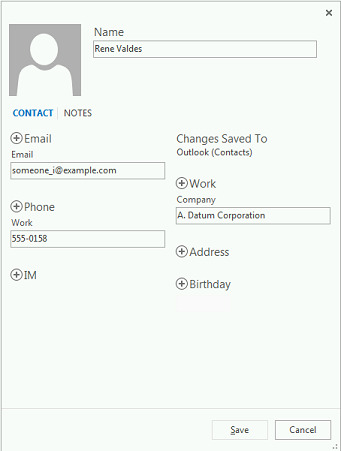 There are a lot of Contact fields so you’ll need to advance several pages. 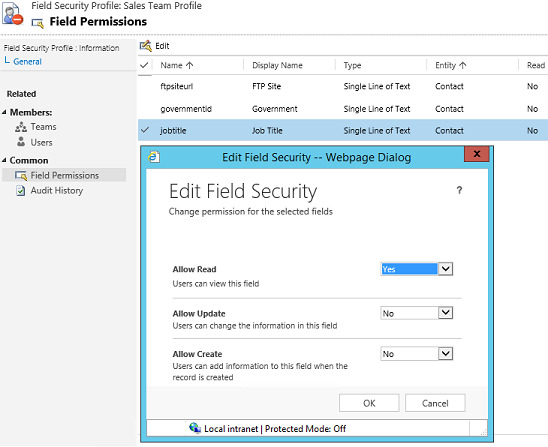 For Field Security, choose Enable > Save and Close. 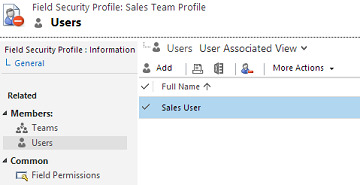 John creates a field security profile and assigns sales team members to the profile. Create a profile. Choose New and enter a Name. Select users and then choose Select > Add. With a field security profile created and users added to the profile, John can now set permissions on the fields to match his organization’s requirements. Choose Field Security Profiles > your profile. Change the security settings to match your company’s requirements and then choose OK > Save and Close. Nancy, a salesperson at Contoso, uses Dynamics 365 for Outlook and creates a new contact and tracks it in Dynamics 365. 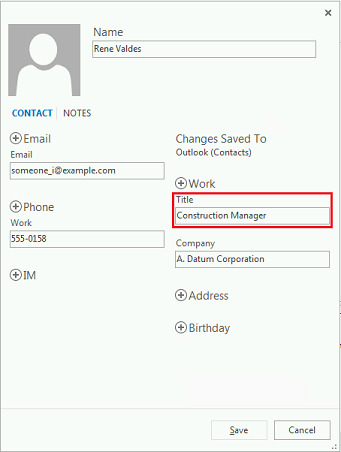 When Nancy synchronizes with Dynamics 365, she notices that the Job Title field is gone from the contact. This is because Nancy doesn’t have update rights for the Job Title field. Nancy’s manager, with update rights to the Job Title field, fills in the field with the correct job title: Construction Manager. 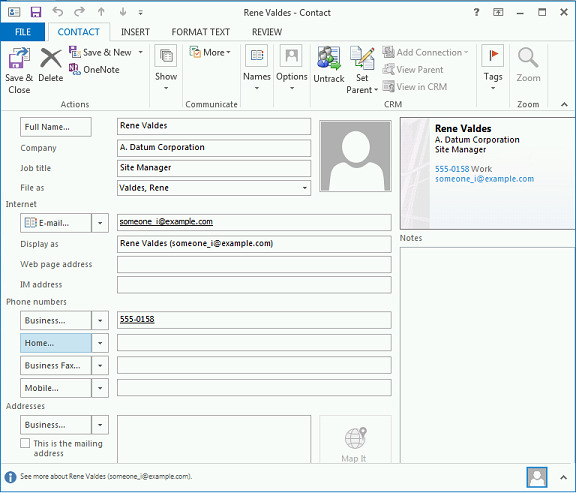 Nancy synchronizes again with Dynamics 365 and now the Job Title field is in the contact with the correct title.